Here is a good idea I saw for cheaply monitoring engine temperatures. If your boat engine has ever overheated (like mine has) you will be a little paranoid about watching the temperature. I found some cheap digital thermostats on eBay and mounted them in a enclosure. The temperature probe wires needed extending, and I wrapped them in heat shrink for extra protection. I strapped one to a metal elbow in the cooling circuit, and the other to my exhaust, just after the raw water is injected. They can be powered from the engine ignition and will display the temperature of the probe. With a few buttons, you can programmed the thermostat to trigger its relay if the temperature goes beyond normal operating range. The relay is connected to a buzzer, acting like an over-temperature alarm. Works great! 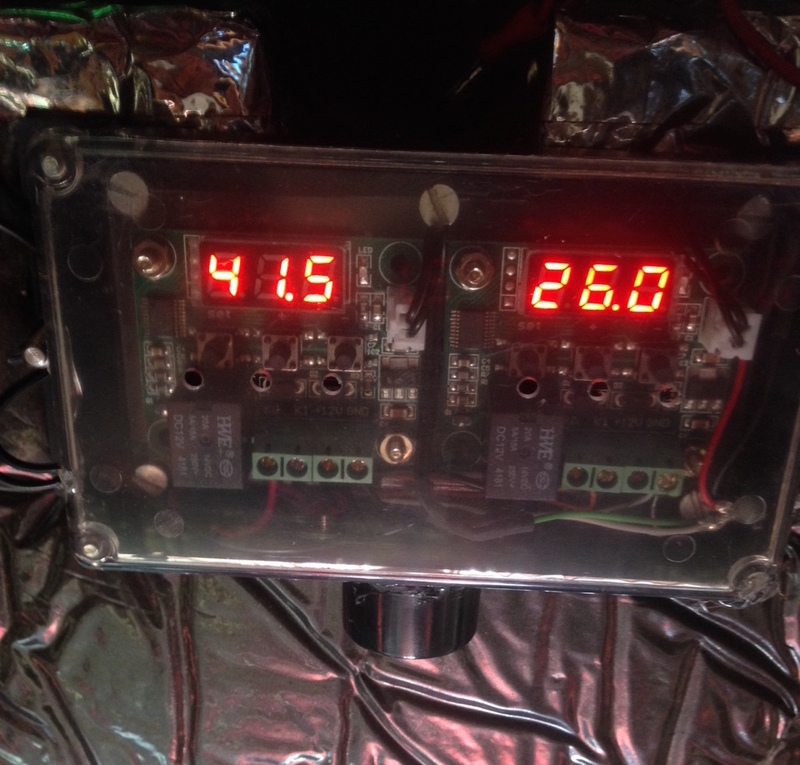 This entry was posted in Sailing and tagged boat, diy, engine, sailing, temperature, thermostat. Bookmark the permalink.